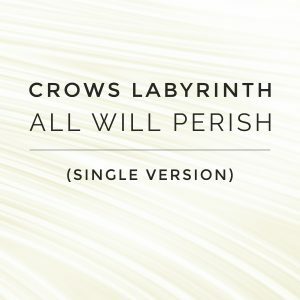 In anticipation of the long-awaited second album, Crows Labyrinth releases the single version of the track “All Will Perish” that will be part of the forthcoming album with the same name. The track was recorded in the same tradition as previous Crows Labyrinth music, using bass guitar and effects processing, fully improvised and recorded in one take. This music may also be interesting for fans of Atrium Carceri, Raison d’Être, Lustmord and Biosphere. No synthesizers were harmed while creating this music. Played, recorded, mixed and mastered by Theo Tol.